Fidel Castro made it his mission 15 years ago to return the young Elian Gonzalez to his father in Cuba after his mother died while trying to defect to the United States with the young boy. In Cuba, Elian’s father Juan Miguel won the fight, backed by Castro, who donned gym shoes to personally lead the protests along Havana's Malecon. Elian returned to Cuba a national -- but somewhat frightened -- hero, greeted by his elementary school classmates and a national TV audience. Castro, not knowing what the boy has been told about him and worried he would be afraid, skipped the airport reception. Since their first meeting, Elian said Castro has called him on every birthday, visited his school and featured him at major national events. But those appear to be the lone perks of Elian's fame in Cuba. His father still works at the same resort park, serving pina coladas to tourists. 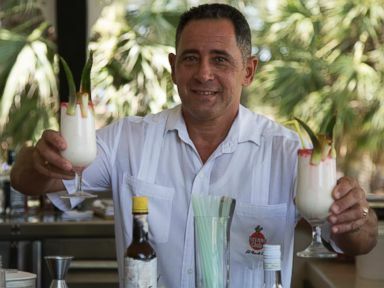 Juan Miguel, Elian's father, serves up Pina Coladas at his job as a bartender - the same job he had before the US/Cuba custody battle. In an ABC News exclusive interview, Elian said his relationship with the former Cuban president is one of friendship. For Elian, Castro has been a constant presence. He first meting Castro in his home in Havana after Elian’s return to Cuba. 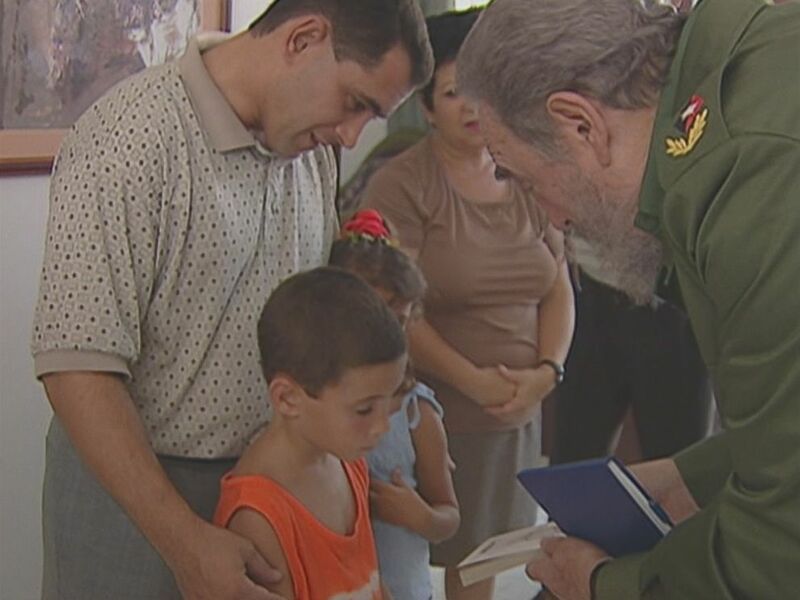 Elian Gonzalez is shown here as a young boy accepting a copy of "La Edad de Oro" by Jose Marti, given to him and signed by former Cuban president Fidel Castro. 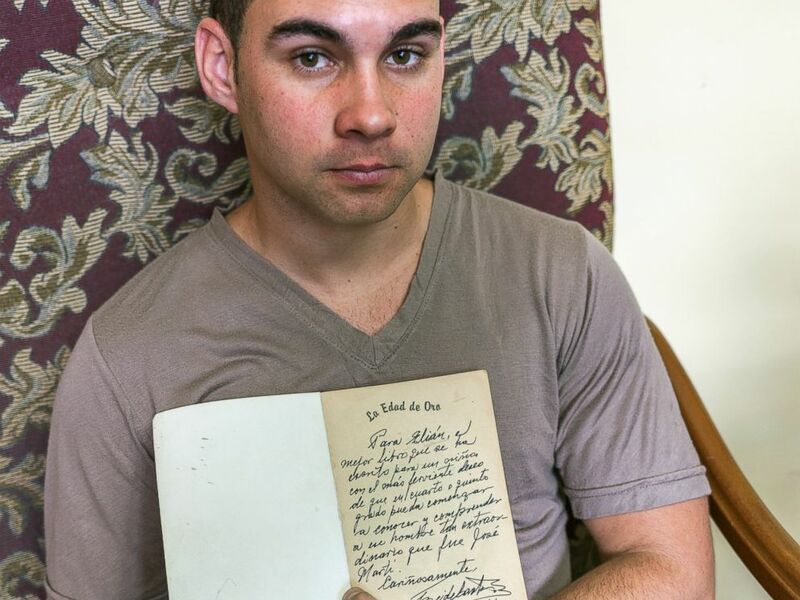 Elian Gonzalez holds a copy of "La Edad de Oro" by Jose Marti, given to him and signed by Fidel Castro, July 2000. Over the years there has been speculation that Elian -- seen over the years at Castro’s side -- has been brainwashed. Elian dismissed the idea. He added that he went to a “normal school,” pointing out there are no private schools in Cuba, and he returned to the same school he attended before embarking for the United States. When asked if he plans to follow in Castro's political footsteps, perhaps even run for president of Cuba, Elian said bluntly, “no.” He has no interest in politics, he said, and is studying industrial engineering. Even with his fame and history, he believes there is a higher bar for being president. “I believe that in order to become president, you’re required more things than being famous and being known by people. I believe that it’s a commitment. But this is a major responsibility to deal with this,” he said.